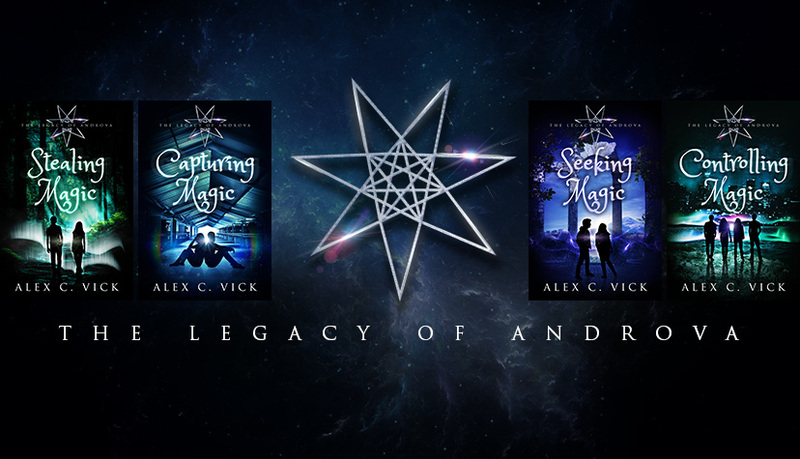 For today's blog post I want to share some of the research I carried out for Spell Tracker insofar as it relates to Luca's past life as a gladiator. Ancient Rome was a period in history that had always fascinated me, but I'd never looked too closely into the lives of gladiators before. My knowledge beforehand owed more to Ridley Scott's film than it did to history books 😏. A good starting point for some context might be to share the gladiator's oath: “I will endure to be burned, to be bound, to be beaten, and to be killed by the sword.” (uri, vinciri, verberari, ferroque necari, Petronius Satyricon 117). Doesn't sound like something to aspire to, does it? Gladiators were slaves, or prisoners of war, or convicted criminals. They had no rights under Roman law. Yet there was more to the life of a gladiator than a brutal and almost certain death. The arena created stars. Fame and fortune for the lucky few. It wasn't unheard of for the lowest born in Roman society to sign up voluntarily. After all, soldiers serving in the Roman legions could encounter death via the sharp end of a sword too. The rate of death also depended on the occasion and the finances of those involved. The bigger the spectacle, the greater the expected bloodshed. 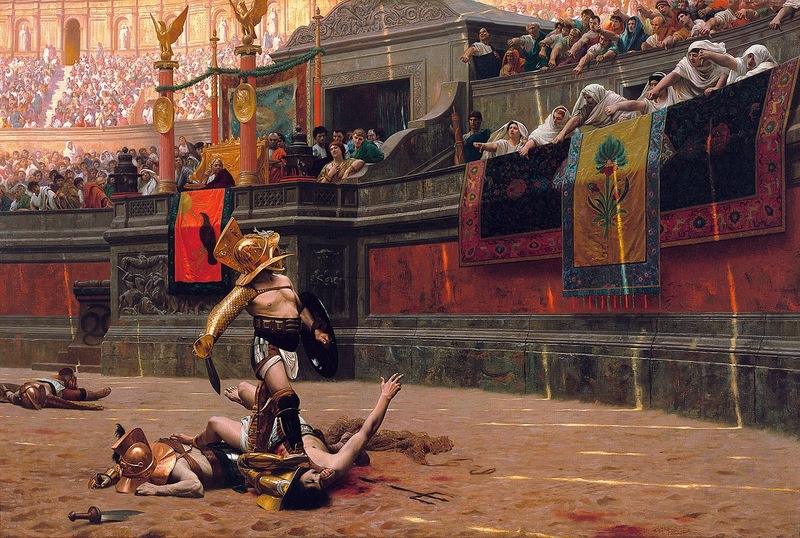 However, a defeated gladiator could always surrender and request missio (mercy), often granted pollice verso (at the turn of the thumb), according to the mood of the crowd. Although no one knows for sure which direction meant what... 👍👎🤷‍♀️. 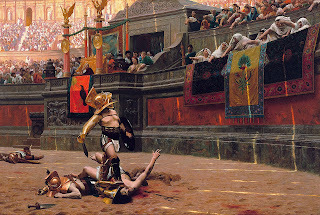 This French painting by Jean-Léon Gérôme from 1872 was apparently one of the reasons Ridley Scott was persuaded to direct Gladiator, depicting as it does all the “glory and wickedness” of the Roman Empire! In Spell Tracker, Luca was once a slave of both Gallic and Roman ancestry. He was born into slavery and belonged to several owners before being sold to his lanista at the age of seventeen. 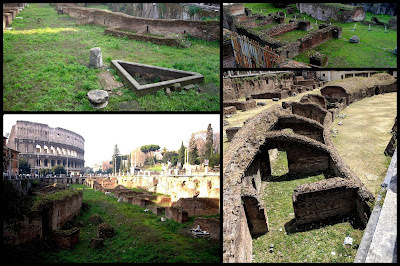 He refined his skills at the Ludus Magnus, the largest gladiator school in Rome (left). 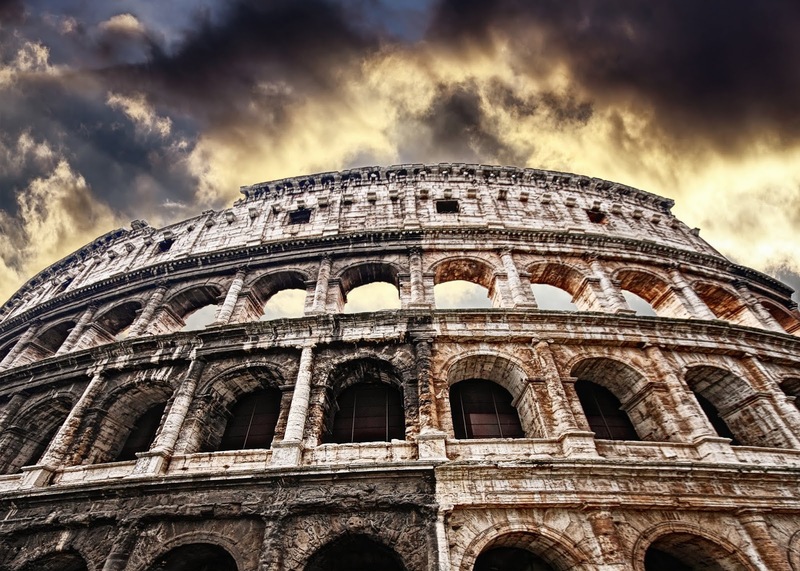 Situated directly east of the Colosseum, the Ludus Magnus had its own arena, space for three thousand spectators, an estimated one hundred and thirty gladiator cells, along with stables for the animals, and even a row of shops. “Rising fear confused my senses. I was unable to form a complete picture of the Colosseum—my eyes captured isolated images only. The feathers on the helmets. The sun glinting through the gaps in the awning. Splattered blood along the wooden boards at the edge of the arena. The emperors, Marcus Aurelius and Lucius Verus, unmoving and expressionless. Waiting. For us. When I'd finished researching the facts, I imagined the people--young men in the main--who'd lived that life. They were real human beings. This is history. Not fiction. Most of them never chose to be gladiators. Most of them never had the luxury of choosing for themselves ever again, right down to the food they ate. What was it like for them to live in the shadow of the Colosseum, hearing the roar of the crowd, and knowing it was likely to be the place where they died? Inscriptions on their tombstones indicate they were often friends with their fellow fighters. Brothers-in-arms. Witnesses to each other's victories and each other's deaths. I don't think it's impossible to believe that love could also be part of a that life. I hope it was. Although love would inevitably raise the stakes, I think it would have been worth it.